Sweetgrass, ranked among Golfweek's Best Courses, as well as recognition by GOLF Magazine and Golf Digest as a Best in State ranking, features an open layout with some of the game's most fun greens to putt (Redan, Biarritz, Island, and Double-green). In addition, the course features some wonderful strategic holes including the famous island green No. 15, and some spectacular finishing par 5 holes on each side. 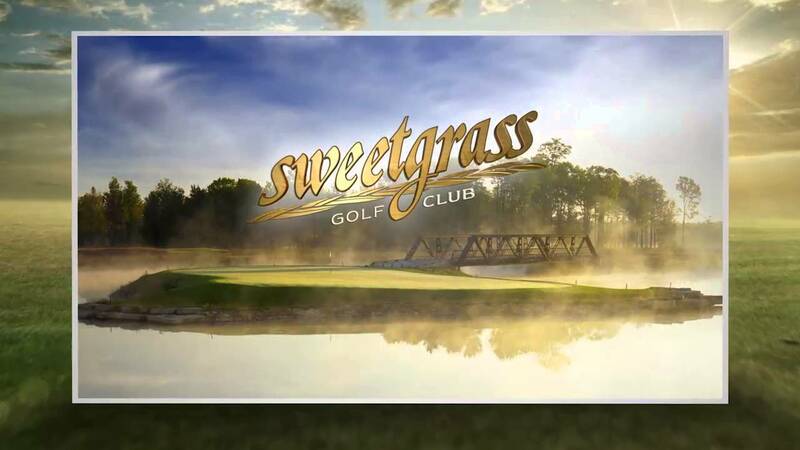 Sweetgrass is also part of the "Road to the LPGA" with its Symetra Tour Island Resort Championship (June featuring the future of women's golf. 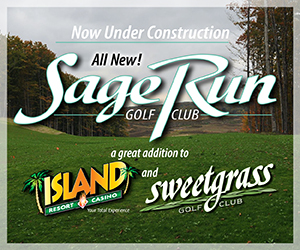 New for 2018 will be the Sage Run course, also designed by Paul Albanese (Sweetgrass) providing a different kind of golf experience where holes flow through the hardwoods and around a drumlin ridge. Player's Club Rates: Levels are based on gaming play. Initial enrollments are eligible for the Island level pricing. Published Discount Rates: Tri-County Resident (with proof of residency in Delta, Dickinson, or Menominee Counties) and UPGA (must present membership card). Stay & Play packages available, including the popular Pefect 4-Some which includes rounds of golf at four championship courses (TimberStone, Greywalls, Sweetgrass and Sage Run). Visit website for complete details www.sweetgrassgolfclub.com. Call 877-ISL-GREEN for reservations. Located 1 hour south of Marquette MI, 2 hours north of Green Bay WI and 15 minutes west of Escanaba MI on US 2 & 41 in Harris MI. Please visit our website at www.sweetgrassgolfclub.com. Contact Sweetgrass Golf Club at 906-723-2251 for more information and details on holding a golf outing at the course. Guests come to Island Resort & Casino for golfing, gaming, meetings, or simply for great entertainment and dining. Transform your trip into a veritable vacation by booking a stay in one of our 328 guest rooms or suites. Each guest room offers sumptuous sleeping experiences, large-screen televisions with complimentary cable service, and comfortable seating areas for quality socializing. Our spacious suites take your experience to new levels with premium amenities ranging from whirlpool tubs and kitchenettes to plush robes and deluxe bath products. Island Resort & Casino is home to eight unique dining experiences. Whether your taste buds call for premier steak and seafood or authentic Mexican cuisine, you are sure to find food to delight each member of your party. Enjoy dinner in one of our sit-down restaurants, which range from fine to casual dining. Partake in a late-night snack from one of our many fast-service dining options. And, after a full night of play, kick start your day with a fresh cup of coffee in your hotel room with your own in-room coffee maker or swing on by our Coffee & Custard Shop to feed your Starbucks cravings. For those who prefer a proper meal at the top of the day, we welcome you to a full-service breakfast at either the Coral Reef Grille or Firekeeper's Restaurant. Please visit https://www.islandresortandcasino.com/dining for more information on dining options. Tucked away in Michigan's Upper Peninsula is a refreshing and tranquil oasis at Island Resort & Casino's Drift Spa. As soon as each guest steps off the elevator into a newly found sense of calm and tranquility, Drift Spa begins fulfilling the promise of an undisturbed and revitalizing spa experience. Our nature-based treatments and skilled therapists will help you relax, refresh and restore mind- body-synergy. For a more enhanced experience, our spa guests are invited to relax in our tranquility rooms and enjoy the indoor pool and fitness center, including a co-ed sauna, separate steam rooms and locker rooms. Please visit https://www.islandresortandcasino.com/drift-spa for more information on spa services. Watch the Sweetgrass Golf Club Video. 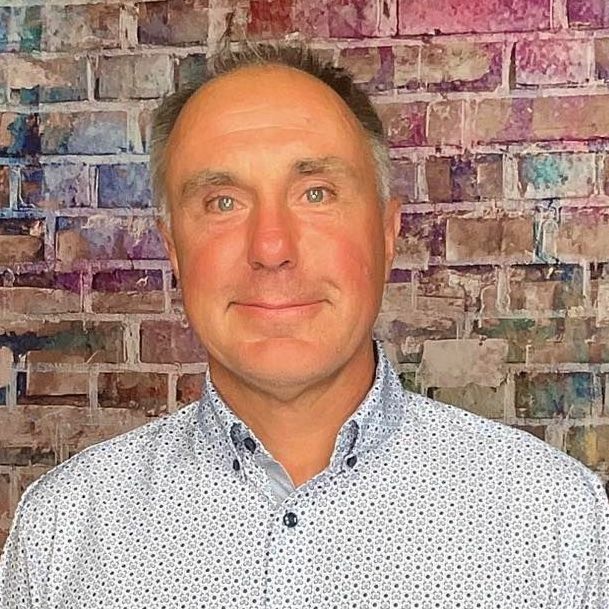 This profile was last updated on 01/01/2019 and has been viewed 24,308 times.